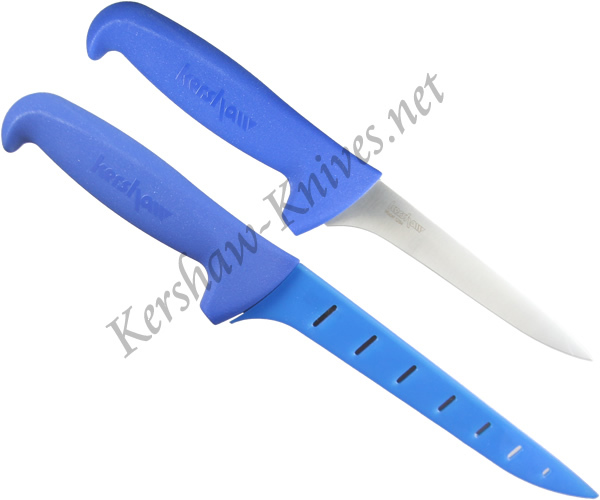 The Kershaw Pro Grade Fillet Knife 1284 has a blade made of 420J2 stainless steel with a polypropylene handle. This combination provides the user with a lightweight knife that has enough flex in the blade to make it perfect for filleting or boning. The handle design is user-friendly, allowing great control of the blade. The model 1284 Fillet Knife is not just a great addition to outdoor fishing or hunting gear. It would be an asset to any household kitchen. The included blade guard ensures that the blade remains razor sharp when stored.